Heartworm is a disease that can end up being fatal to pets without proper care. Preventing heartworm is an important part of keeping your pets healthy, especially during spring and summer. At The Brentwood Animal Hospital in Pensacola, we offer heartworm treatment and preventative products, so that your pets have a lower risk of getting this disease. Heartworm disease is a parasitic infection that affects both dogs or cats. Mosquitoes can pass these worms onto pets through their bites. When these parasites are inside your pet, they typically live inside the lungs, heart and blood vessels, where they reproduce. Over time, this can lead to serious and potentially life-threatening problems, such as heart failure. 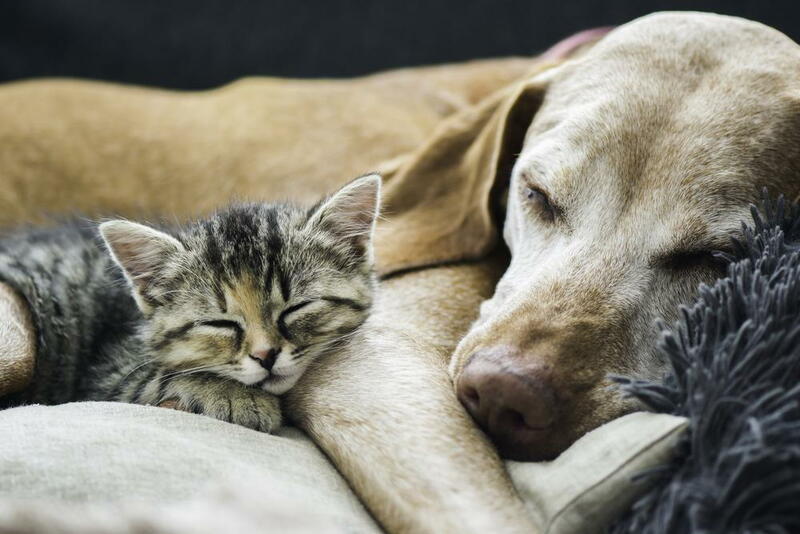 Dogs have a higher risk of having severe health problems from heartworm disease compared to cats, but cats can still end up with health issues, like a heartworm-associated respiratory disease, from these infestations. Since these parasites live for several years, it may take a long time for signs to appear. Our veterinarians offer safe and effective heartworm prevention products to lower the risk of this disease. Giving your pets heartworm prevention, such as a pill or tablet each month, provides them with protection from heartworm disease. While this is essential for dogs and cats that spend time outdoors in spring and summer, it is also a good idea for pets that mainly stay indoors. Keep in mind that mosquitoes that carry heartworm can get inside your home and bite your pets. Our veterinarian can discuss heartworm preventative products with you and help you select one to give your pets. It is much more cost-effective to prevent heartworm than to treat it after an infection has already occurred. Should your pet test positive for heartworm, there is only a drug treatment option for dogs. Because cats don’t present the same heartworm symptoms as dogs, cats can generally lead active and healthy lives with the assistance of exception veterinary care. If your pets need heartworm treatment or prevention, please contact The Brentwood Animal Hospital to make an appointment. Our Pensacola veterinarians can keep your pets safe from this disease. We also offer tick prevention to lower your pets’ risk of Lyme disease and other tick-borne illnesses.